I've been waiting for this for weeks. 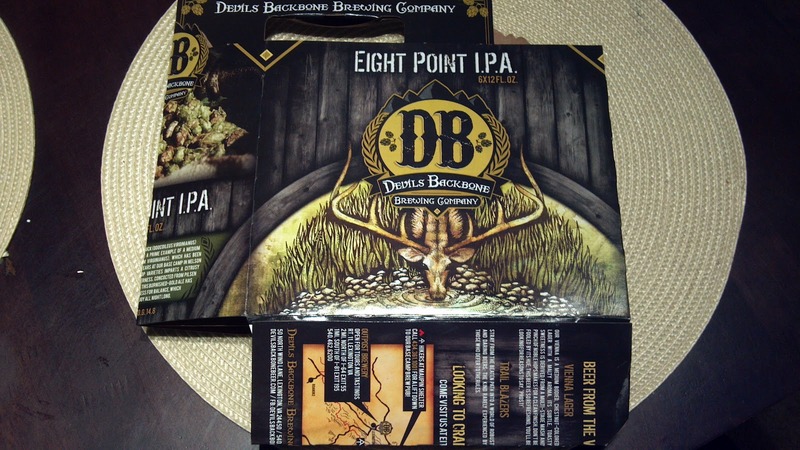 Devil's Backbone Eight Point IPA is quickly becoming one of my favorite IPA's. This IPA is crisp and bitter ale blew my mind when I first tasted it. I actually tasted the Eight Point IPA at a tasting a while ago and liked it a lot. For some reason, I never got around to getting a six or two. 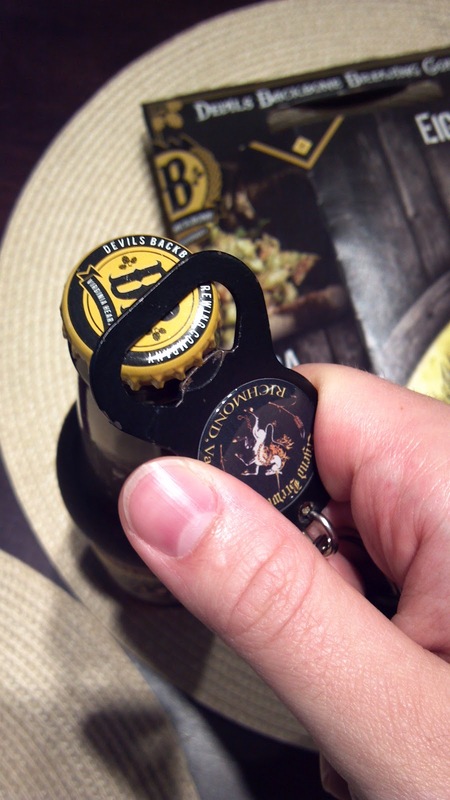 I remembered it when milling around the grocery store's beer and wine section yesterday. 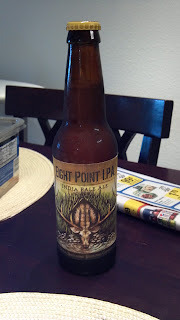 I spied the eight point buck on the cardboard, and the memory of the tasting came back fresh. This IPA is made with all kinds of hops. All of the hops give the ale a complex bite! I'm not afraid to say that some of what this IPA is doing in my mouth, I don't understand. The notes I do understand are complex floral, strong but fast diminishing bitterness, and slight sweetness. I like that the the bitterness doesn't blow you away. This is a very drinkable IPA. I had this ale with spicy burritos, cold cuts, and huevos rancheros. It didn't overpower any normal meal I had, but it also goes great with some heat. I really like the cover design on the cardboard and bottles. 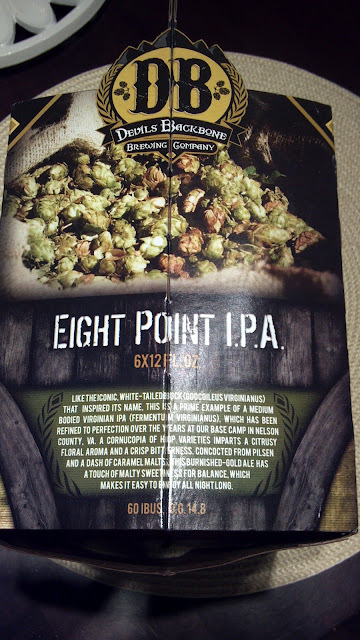 I think the artwork lends a lot of character to the whole package, and defines Eight Point very well. I would recommend this to any IPA drinkers out there. It's not going to knock your socks off with bitterness, which makes it very drinkable. But it has a deep quality to its bitterness that I don't taste in many of the IPA's I drink. Pick up a six pack at most grocery stores in VA.